Thanks to Sri Kaushal Bhargav for the share. I am sure most of you know Thayumanavar story in Trichy where Shiva came in the form of the mother of a pregnant lady to handle the delivery of the child. This (Sanskrit) slokam is suggested to be chanted for easy childbirth. I suggest someone typing this in Sanskrit and English to benefit others. 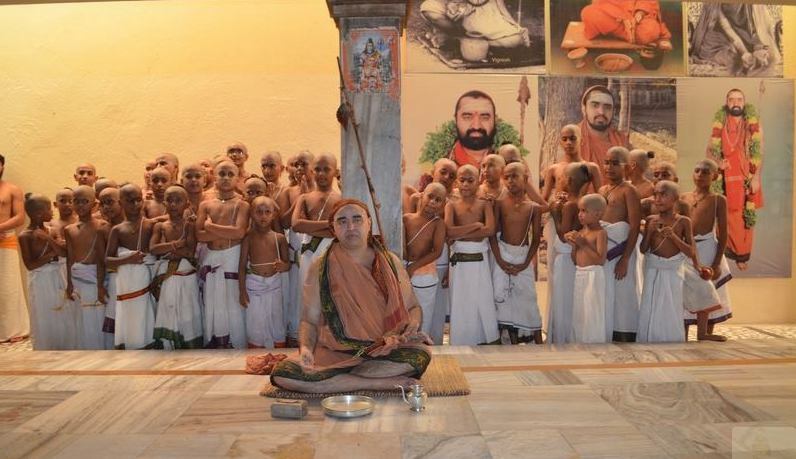 ‹ First Padha Puja for Sri Periyava? शम्भो सुखप्रसवकृत् भव हे दयालो श्री मातृ भूत शिव पालय मां नमस्ते॥ The anusvara (dot above the “sha” in shankara must be pronounced as “n” like in sing or king), it must not be pronounced like “m” i.e., shamkara. This is from Matrubhuteshvara stuti. A truly wonderful post straight fron the heart. May the blessings of Their Holiness Periyavaas’ always be with you and your family. 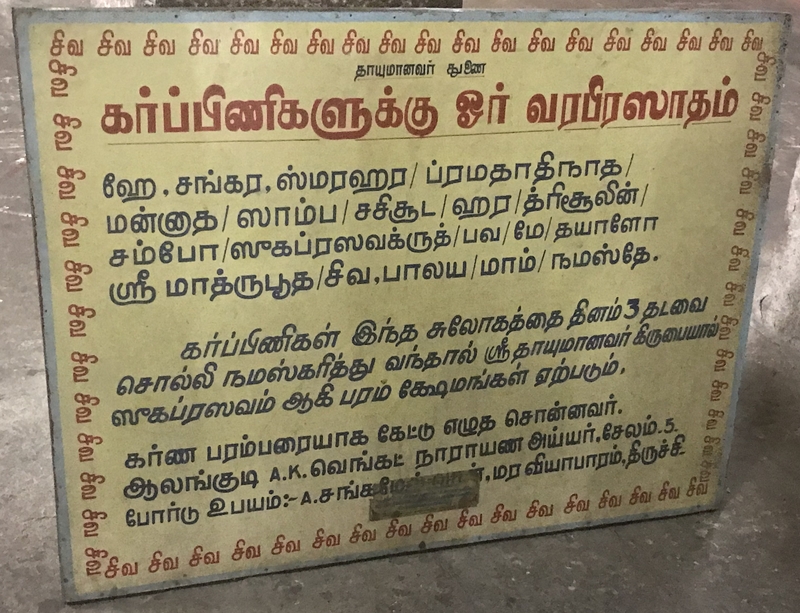 Namaskaram, Thayumaanavar is our Kula dheivam. Therefore, even though you might find it not worthy of posting, I am compelled to submit the shlokam that enabled the miraculous possibility of having a normal childbirth quite late in my life. I am sure someone has already sent you a typed version of the shlokam in Hindi and English that you can publish in your blog. 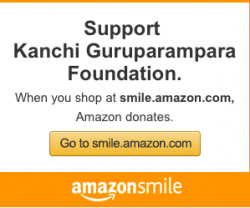 Through this email, I just want to bring out the effectiveness of mantras and prayers to Periyava and the benevolence of gurus grace even in the lives of not-so-sincere devotees too. It might sound as â much ado about nothingâ to you but has been a life changing one for me. We used to watch religious discourses and Bhajans all day long during my pregnancy. It was way past the predicted due date and our anxiety levels were increasing when One day my Appa was watching Shankara TV and relating something about him being given gold coins as a child, by Periyava for reciting mantras in the presence of His Holiness. It occurred to my mother then that if we cchant Hara Hara Shankara Jaya Jaya Shankara, Periyava will come and help us and since mum is the Word in our household, we did as told and That night we rushed to the hospital for the delivery ð I used to recite this Thayumanavar shlokam ( in addition to Garbharaksha Amman shlokam* and another one of Maathrubhootheshwarar **) everyday during my pregnancy and was the only one that I could remember and chanted continuously during my 14 hour long labor. Even as doctors gave up, this mantra gave me, my husband and mother the unimaginable strength to carry on. You might wonder the point of bringing up my husband and motherâs context. My mother was allowed to be with me during my labour and my husband wanted to help. Amma is a diabetic and went through the whole night and the next whole next day without a morsel of food or drop of water for more than 24 hours Just chanting all the time… Jaya Jaya Shankara, Hara Hara Shankara. My Appa waited outside the room, again chanting, starving and even forgetting to have his quintessential Kaapi that we had carried in the flask among all other things that night. Due to a high number of childbirth on that night the doctor could not be around continuously and there was a dearth of nurses too. So my husband assumed the role of second nurse and followed all instructions from the head nurse and made sure that I have a normal delivery even as the doctor and the nurse weâre preparing for the c- section. As we welcomed our son, the nurse joked, â your husband was like a football coach, we will call him every time we need an extra hand.â Mind you, my dear husband ( everyone calls him kaliyuga Ramar) canât even stand the sight of a drop of blood from a paper cut injury. He shows around his mosquito bites â Idho paar yenakku punnu vandhuduthuâ and makes a big fuss about each and every mark or mole on his body as â yenakku koppalam naraiyya irukku, dermatologist appointment vaanganum.âHe has admitted himself thrice in the ER for stomach aches and pains arising due to gas, declaring them to be anything from heart trouble to diverticulitis. You get the picture. A very gentle but noble soul like him turned to be a mighty force That night when he was not Rama or Krishna, as his namesake. He was our Kula dheivam, Lord maathrubhootheshwarar, the midwife, as He was to Rathnavathi. Anyways, my husband has resumed to be his hypochondriacal self and our son, Mahadevan turns 2 years young, in a fortnight, all by grace of Acharya Shankara and Lord Shankara. * I have recited this mantramGarbharakshaamman shlokam since childhood as part of Nithya Parayana mantrams that HH Jayendra Saraswathi swamigal^^ had published in a small booklet with his message in Hindi. I am submitting a hand written copy of the same and ** maathrubhootheshwarar Shlokam in Devanagari and English. Also attached the pictures of Garbharaksha Amman, Mathrubhootheshwarar (Thayumanavar) and Sugandhakoondhalaambal ( Mattuvarkuzhalammai). ^^Our Shankaraacharyaa, Periyava, Pudhu periyava, Bala periyava are so much part of our daily lives that People like me often take there arul for granted, without realizing that The sahastranamams and ashtakams we recite, mantras we chant, the rituals we adhere to; all of them have been composed, commented, prescribed or revived by them. Thank you very much for doing a great service by constantly, through daily emails and blogposts, reminding mortals like me to be grateful to the Gurus who are guarding us. This is a lengthy letter. It is probably boring and pointless, but in spite of myself, I want to send this to you, not for you to publish in your blog, but In order to give heed to the several prompting and nudging (signs) which I take as Periyava aagraham. 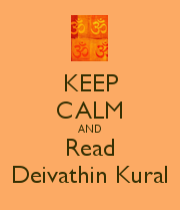 No wonder, your kula deivam Sri Thayumanavar has been with you, like your second mother, through-out your labour! The following is my humble attempt at transliteration into Nagari and English scripts. I am not familiar with Nagari typing, so this may have to be checked by some knowledgeable persons. This may be taken as a first draft. Shri maatrubhuta Shiva paalaya maam namastey. This slokam I was looking for, in the internet day before for my daughter’s sake. I could not find that day. Today I told Periyava that you are her mother and father please take care of her and the fetus. Periyava immediately answered my prayer, karunyamurthy, karunamurthy my humblest Namaskarams to Periyava. This is the beauty of Periyava’s response to sincere prayers. This blog being a small media to that facilitate that response makes us all feel good.